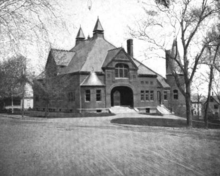 Henry Oliver Underwood memorialized his parents with the gift of a new town library building, and in 1902 the Underwood Library opened. Photo courtesy of the Belmont Public Library website. The Belmont Library Foundation’s mission is to extend and sustain the historic public/private partnership established by Henry O. Underwood over a century ago. Today this means seeking support for a new library building. The Foundation is planning a major campaign to raise the funds to construct a new home for the Belmont Public Library. This effort will need to adhere to that sage adage: “Many hands make light work!” We hope to engage Town residents in the effort, truly a grassroots endeavor. First and foremost, we need many volunteers as we populate our committees. The work of being inclusive and reaching as many people as possible will take the efforts of a strong, committed group of volunteers. This can be rewarding in and of itself, but it is also a great way to meet fellow Belmont residents and make an impact on our community. We are looking for talented people with all sorts of skills! Find out here how you can help. Second, financial gifts of all sizes will help make this community aspiration a reality. Helping to get the message out makes those donations happen. Bringing friends and neighbors together can be fun and informative. Asking people to join you in making a financial commitment is often just a matter of being passionate about the Library and sharing that passion with your contacts. Many residents will be motivated to make a “stretch” commitment because they will be inspired by the “mission-centric” design and its impact on the community. The new library will result in a vastly enhanced space that will serve even more appropriately as a “town gathering place” by many groups and organizations. If you are interested in learning more, please read about specific ways of giving here.